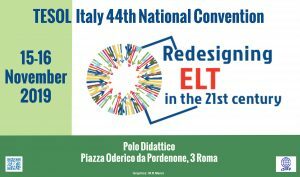 TESOL Italy’s mission is to develop the expertise of those involved in teaching English to speakers of other languages, and to foster professional growth and active participation in language teaching. Its mission includes promoting community understanding of the role of language in a progressively changing environment while respecting individuals’ language rights. promotes advocacy to further the profession.